Hi there and goodbye-ish — as I explained in MagBytes 93 that I released yesterday, I have no more time for monthly MagBytes (at least 8 hours work) and for daily Apple news updates and for weekly Friday tips. My working life has taken over, and since Apple no longer shows me products, I no longer feel qualified to talk about them. It’s been a fun and rewarding pastime; thank you for your attention and support over the last ten years. Like a lot of people I for one am very sorry to see it go. I totally understand your decision and I bet it took a lot of thought before you came to this end. Always looked forward to all your communications, even had an alert in my calendar to remind me to check if needed. I could never understand how in the world you kept it all up, as some of your replies came very late at night. So although I am sorry to not get Magbytes any more, I say go for it. One door closes, another one opens is a saying that does seem to happen. I hope we can stay friends and when I have said thank you in the past, I really meant it, for I felt you must have been up against it sometimes. The whole world is ‘changing’ it seems… so you are no exception to the avant-garde. Thank you for the excellent information received over the years since we met. I have all your Magbytes on file for easy access to the Apple world when, like you, time permits, for my limited knowledge to decipher. Just a thought.. for the moments of your creative imagination… many of us in the Apple world need someone like you to set up an Apple training school on line. ‘We’… the Apple lovers of the older generation… have the toys, but do not have the school or the skill of the teenagers. But we’ll pay to learn. Could you put your Apple training school online… you’d only need to update when something really new comes out. So please consider…PLEASE! Wishing you all the best at MOTAT… Christmas… 2018… and…the new online adventure! As one of the many people who have benefited from your expertise over the years I’d like to thank you. Every time I’ve asked you for advice or information I’ve had a quick and useful reply. Not being that tech savvy, but having owned a Mac since about 1992, in the past few years I’ve come to rely on MagBytes to keep me up to date with current advice and information. It seems to me a real shame you cannot continue use your talents as a Mac ambassador. My retirement field is photography and we visit MOTAT as a source of interesting subjects. Hopefully next time I can say hello. Once again thanks for making such a valuable contribution to my technical life and good luck for the future. If you ever start up again please let me know. Well a sad day today with the news you are stopping your daily Mac info etc. I for one have appreciated all the work you have done here and for the advice you have given me in times of trouble or needed some help. I do see why you are doing this and I wish you all the very best in your job, which I must say I would also fined very interesting. I think I can say that there will be a lot of sad people who use Macs out there with this news. As far as my keyboard is concerned my space bar is intermittent and can drive you up the wall if you do not keep an eye on the spaces between words. I followed advice found by searching, it’s a common problem too, but if the bluetooth is connected and battery levels are good then Apple say that’s it, a new keyboard in required. (Wireless 2015 or later here). At the moment it is working but if it fails again I am off the the store. Thank you for all you have done and I imagine it is sad for you too. You are right in that there is very little Mac support available here where one can get some answers to problems etc without taking it to places like the iStore. Thanks, Mark, for everything you have done for fellow Apple users over many years – always interesting and informative. Your daily news and MagBytes will be very much missed here. Thanks Mark. That has been a long involvement. I was a subscriber to MacGuide and have really appreciated all your advice, reviews and everything over the years on paper and online. Have a restful Xmas and New Year. Kind regards. So sorry to see this. I have enjoyed this news very much but understand that life can take over sometimes! Cheers. Thank you and all the best for the future. Apple issues macOS High Sierra update to fix password-less root vulnerability — Apple has released a special security update for macOS High Sierra, solving a recently uncovered flaw which would let people gain root access without entering a password. The patch, Security Update 2017-001, should be available through the Updates tab in the Mac App Store. After installation, the build number of High Sierra will be 17B1002. Apple notes that if people require a root user account on their Mac, they can create one and assign a password through System Preferences. Apple also issued a statement to The Loop on the misstep. 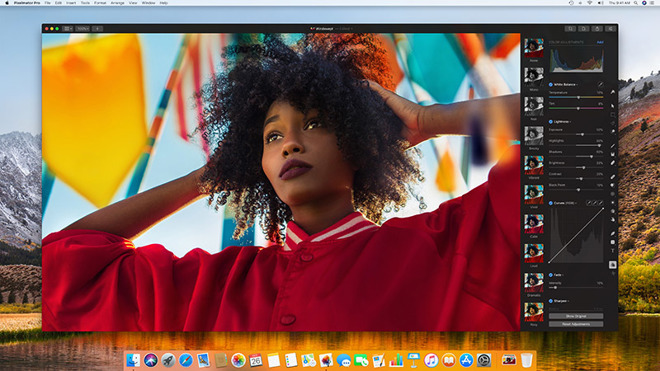 Pixelmator Pro debuts with powerful image editing tools, machine learning tech — The developers behind popular image editing app Pixelmator on Tuesday released Pixelmator Pro for Mac, a new title that takes advantage of Apple APIs like Metal 2 and Core Image to deliver GPU-powered tools, machine learning features and more. Codenamed ‘Whirlwind,’ Pixelmator Pro was first announced in September as a next-generation Mac image editor with hooks into Apple’s latest graphics platforms, as well as advanced in-house technology designed to turbocharge editing workflows. B-Eng debuts Similar Pic Finder 1.0 for macOS — B-Eng has introduced Similar Pic Finder 1.0, a duplicate image discovery utility for macOS. It tracks down duplicates and copies of pictures. Similar Pic Finder requires macOS 10.10 or later. It costs NZ$2.99/US$1.99 and is available at the Mac App Store. Apple schedules downtime for iTunes Connect — Apple has scheduled downtime for iTunes Connect from December 23rd-27th, so its employees can celebrate the holidays. iTunes Connect is a suite of web-based tools for managing content sold on iTunes, the iBooks Store, and the various app stores. IOGEAR Compact USB-C Docking Station with PD Pass-Thru a great accessory — If you have a 12-inch MacBook and find it frustrating that it only packs one USB-C port, consider the US$99.95 IOGEAR Compact USB-C Docking Station with PD Pass-Thru [currently that’s about NZ$145, but check if the power supply works in NZ]. It’s also useful for expanding the connectivity options on the latest MacBook Pros as well. Through a single USB-C connection, it lets you connect monitors, a full-sized keyboard and mouse, external hard drives, printers, webcams and more. Easy to set up, the all-in-one dock serves up a total of 10 ports. The docking station is equipped with memory card readers for SD/MicroSD memory cards for quick access to your data. With two USB 3.0 (Type-A) ports, you can connect an array of USB Type-A peripherals. Analyst reckons Apple will spend $4.2 billion annually on original video content by 2022 — Apple will spend $4.2 billion per year on original video content by 2022, according to a report by Loup Ventures analyst Gene Munster [in whom I have title confidence, please note]. If he’s right, that will be a major increase on the $1 billion that the tech giant will purportedly spend in 2018, although the amount is still smaller than Netflix and Amazon’s video budgets. How to mute and unmute audio in Safari tabs in macOS High Sierra — macOS High Sierra’s Safari lets you mute audio in any open tabs. You can do this right from the Smart Search field, so there’s no need to click through all your tabs to locate the one you want to silence. If you’re viewing a tab that’s not playing audio, the Audio button in the Smart Search field is white with a blue outline. If the tab is playing audio, the Audio button is solid blue. Sales continue all week at OWC — One of the worlds premium brands for Mac equipment, Other World Computing, is continuing its MacSales.com Black Friday and Cyber Monday sales all week. OWC ships to New Zealand. Mac games rise and you can find bargains — Have you noticed that more and more Mac gaming torrent sites are popping up? Clearly, the demand for Mac games is growing. However, piracy is wrong. Plus, torrent sites are dangerous for you and your Mac, especially when there are better alternatives out there. 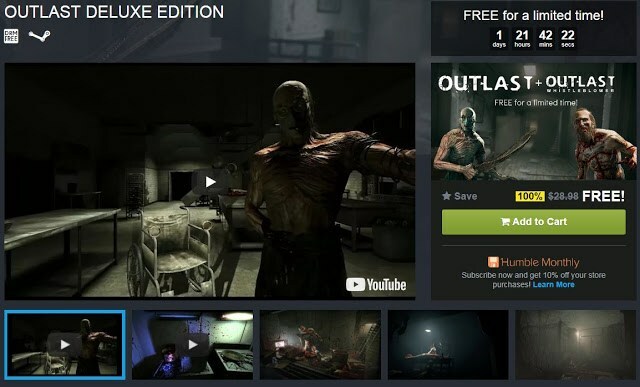 So forget about Mac games torrents, and check out this advice instead. Hands On: Scrivener 3.0 further refines the writing, research process on the Mac — AppleInsider gets a published author to take a look at the Scrivener update, with new highlights including a much called-for rewrite of the app’s Compile feature, and an interface modernisation. Brattoo Propaganda Software debuts Photos Tagger for macOS — Brattoo Propaganda Software has introduced Photos Tagger, a new addition to their applications suite. Photos Tagger extracts the meta data from the Photos software database, and applies it to your photos as keywords. The app is designed to make it easier to find and organize your pictures. Photos Tagger requires macOS 10.9 or later and Photos 2.x or higher. It costs US$7.95. A demo is available for download. Cyber Monday deals — Being New Zealand, these have come through on our Tuesday. TechTool Pro is on special, MacProVideo has deals on subscriptions (US$75 a year) and instructional downloads, and Italian V-Moda headphones have 40% off the Crossfade Wireless version. Everything you need to know about Apple’s iMac Pro in under 6 minutes — AppleInsider goes through every new detail, feature and rumoured specification related to Apple’s upcoming iMac Pro in a video. Apple has already confirmed a major refresh of the Mac Pro coming in 2018, but little is known about the next-generation desktop, which will likely require users to buy a display separately. If you want one as good as the recent 5K iMacs, it’s going to cost upwards of $1,300 just for the screen alone. Now comes Apple’s brand new iMac Pro, due to release in December. Apple offers gift cards with iPhone, Mac purchases in New Zealand (and Australia) for Black Friday — Apple has commenced its Black Friday shopping deals in New Zealand and Australia, providing customers with gift cards if they purchase Apple products through the online and retail Apple Stores during November 24, with similar deals likely to be offered in a number of other regions when each country reaches midnight. 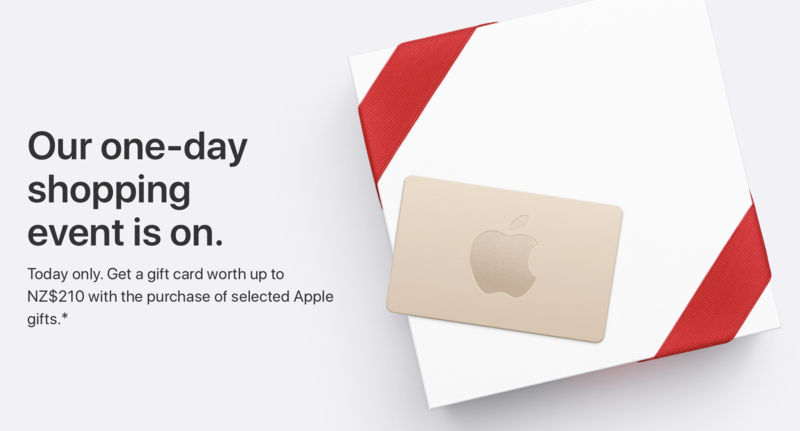 Described on the Australian and New Zealand Apple websites as a ‘One-day shopping event‘, visitors are advised they can receive a gift card worth up to NZ$210 ($144) or A$210 ($160) with the purchase of “selected Apple gifts” (some iPhones, iPads and Apple Watch series 1, plus five models of Mac). Customers are limited to a maximum of two gift cards under the promotion, making the maximum combined value of gift cards attainable in the offer NZ$420 ($289) or A$420 ($320) for each respective region. Here are some more deals for you — It’s Friday here already, so … MacPhun’s Aurora photo software is normally NZ$138; it’s on sale for NZ$122, and comes with 40 HDR presets, a Trey Ratcliffe video and an imagery eBook. Apple Insider has a key to getting the best deals, although many will not be relevant to Antipodeans, and there are early Black Friday deals from Smile (30% off on both PDFpen and TextExpander), and from Pad & Quill cases (15% off) plus MacPhun’s Luminar 2018 is just US$69, and this price includes US$130 worth of bonuses for free. There are also some good deals on HomeSpot USB-C hubs, but you’ll have to factor in shipping. UK government to initiate tax crackdown on tech firms holding earnings offshore — The UK Treasury has said it will begin cracking down on large corporations that shift British earnings overseas in a bid to avoid the country’s high taxes, a move that follows a wider European Union strategy seeking much the same. Along with big-name corporations like McDonalds, the initiative targets tech companies like Apple and Google, which use complex accounting strategies to skirt high taxes. Apple posts research paper about self-driving cars — Apple has posted research on how self-driving cars can better spot objects while using fewer sensors. It appears to be the company’s first publicly disclosed paper on autonomous vehicles. Net Neutrality, website tracking worse, Black Friday sales! It’s Black Friday sales time! Text of FCC ‘Proposal to Restore Internet Freedom’ released, eradicates net neutrality rules — As promised, the US Federal Communcations Commission has released the full text of the Proposal to Restore Internet Freedom which completely removes restrictions on throttling or prioritising content, and explicitly allows paid prioritization of content. Website tracking to be worse than thought, study shows — New research from Princeton University reveals that website tracking is more prevalent than most people think. In the first release of a series called No Boundaries, the researchers explain how third-party scripts that run on many websites track your keystrokes and send it to third parties. Tomorrow is Black Friday and the sales have already started — MacPaw has 30% off its of apps including Gemini, CleanMyMac and even bundles, Readdle has PDF Expert for US$45.99 instead of US$59.99, PhotoLemur, the remarkable software that anyone can use to dramatically enhance photos very easily, is 60% off, but only till 6pm NZ time (ten-hour run), you can get 249 coding lessons in Swift and for iOS development for only US$10 today, and my own publishing company CreativeTech has its iBooks titles dramatically reduced until 30th November – just type CreativeTech into the iBooks Store. 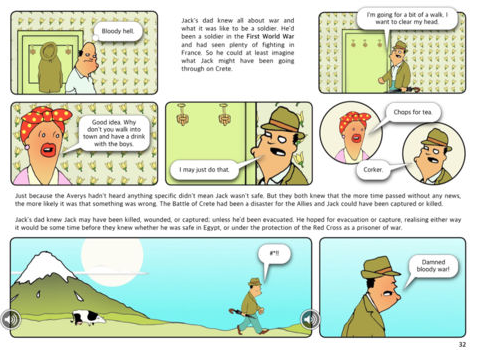 US$2.99 / UK£2.49 / A$3.99 and €2.99; Friendship, Foes and Feathers book 1: June, Anne and the Great War for just NZ$4.99 / US$2.99 / UK£2.49 / A$3.99 and €2.99 ; Parcels From Home: Jack’s War, a Graphic Historic Interpretation fully written and illustrated by the Listener’s Steve Bolton based on the research for Parcels From Home (below) is currently just NZ$6.99/US3.99, a huge savings on a very rich and rewarding book normally NZ$17.99 (pictured above) with sound, bibliography, informational pop-outs, and German to English translations. Parcels From Home: The Prisoner of War Parcel Scheme and the New Zealand Red Cross in World War Two is currently just NZ$4.99 or US$3.99 / UK£3.49 / A$3.99 and €4.49; and the longer version with an extra chapter on New Zealand in the Pacific War and more audio-visual content (the ‘Trainspotter Edition’ of this same book) is normally NZ$18.99, now NZ$6.99 (extra chapter, more audio-visual content) or US$3.99 not 11.99, UK£3.49 not £9.49, A$5.99 not A$17.99 and €4.49 not €13.99. Ranger: The Making of a New Zealand Yachting Legend by Sandra Gorter is normally NZ$11.99, now it’s NZ$6.99 /US$3.99/UK£3.49/A$5.99 and €4.49 – this is the iBooks version of this New Zealand best seller. Remember: you can get a free sample of any of these iBooks any time, to try before you buy; clicking the above links does not commit you to buy; these only work on iBooks on Apple devices, but buy one and it installs on all the Apple devices signed into that iCloud account; and if you finish on a page on your iPad then open it on your Mac or iPhone, it opens on the same page and any notes or highlights you have added appear in all device versions you read, which makes them wonderful study aids. Hey Siri might come to the iMac Pro thanks to an A10 Fusion coprocessor — Developers Guilherme Rambo and Stephen Troughton-Smith have found ‘Hey Siri’ functionality in the macOS code base with support for multiple user accounts all driven by what appears to be the A10 Fusion processor, according to the pair. AppleInsider talks about why Apple might do that, and what it would mean for the iMac Pro. Hands On with the Sonnet eGFX Breakaway Puck with Radeon RX 560 — External GPU enclosures can be pretty massive. Sonnet has a solution to the problem with the portable eGFX Breakaway Puck — and AppleInsider has one to test. Lisa Jackson doubles-down on 100% recycled material use goal, lauds Apple’s environmental efforts — Apple’s Senior Vice President for Vice President Environment, Policy and Social Initiatives Lisa Jackson granted an interview to an Australian publication, and continued to drive home Apple’s goal towards using 100 percent recycled materials across all of its products, Apple’s “right to repair” philosophy, and Apple’s point of view on the taxes it pays. Reflector 3 highlights new UI, better performance — The latest version of Reflector is out. The utility turns a Mac or Windows PC into an AirPlay receiver. Reflector 3 will be priced at US$14.99, but the company will have a US$11.99 introductory price in play for a while as well as discounts for existing users of Reflector 2. 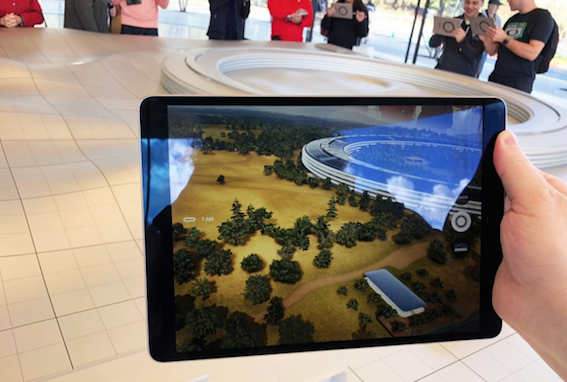 Apple Park Visitor Center opened on Friday — Bryan Chaffin stopped by, took some pics, bought a shirt, and talked to folks. Here are some of those photos and his thoughts “on this delightful place“. when the Apple Park Visitor Center opened, Apple hosted a gathering of Cupertino neighbours. Apple paid $3.3 billion in Q4 dividends as its market valuation grew $162B larger than Google — Last Thursday, Apple paid its shareholders a record (as of November 13th) a quarterly dividend of $0.63 per share, totaling $3 billion in dividends on its outstanding shares for the quarter, on stock that has appreciated 46.5 percent so far in 2017. Tim Berners-Lee wants help in protecting net neutrality from Ajit Pai’s FCC — Under Chairman Ajit Pai, the Federal Communications Commission (FCC) is coming for Net Neutrality, facts and public sentiment be damned. Internet-inventor Tim Berners-Lee wrote an editorial for USA Today asking Americans to help save the Internet from an irresponsible vote on Net Neutrality expected from the FCC. Denise Young Smith stepping down as Apple’s VP of diversity and inclusion — TechCrunch has reported that Denise Young Smith, Apple’s vice president of diversity and inclusion, will leave at the end of 2017. No reason was given for her departure; evidently, it’s a career choice change she’s made. 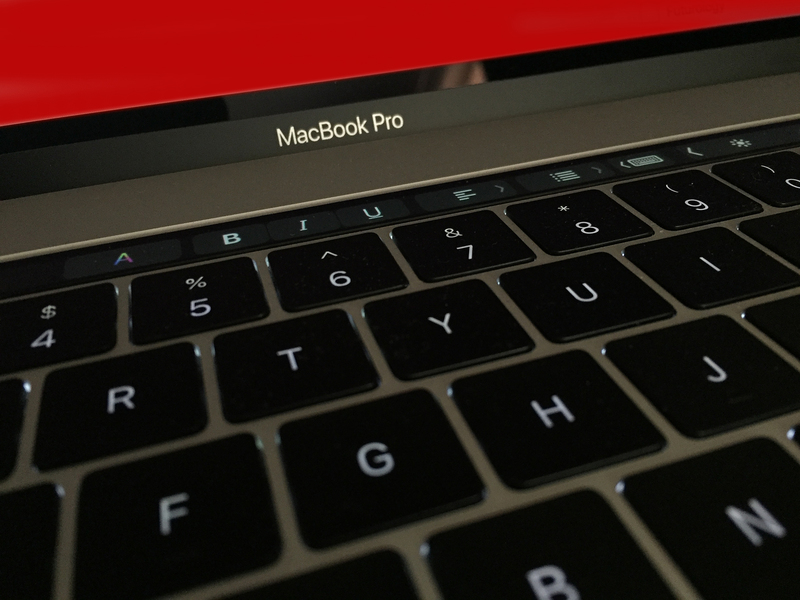 RESCUE.COM reckons MacBook Pro with Touch Bar is the best laptop out there — If you want to buy the best laptop that is out there, go for Apple’s MacBook Pro with Touch Bar, says RESCUECOM President David Milman, whose company repairs tens of thousands of computers annually. The Touch Bar, available exclusively on the MacBook Pro, offers a revolutionary way to use your laptop, he adds. The MacBook Pro is thinner and lighter as well as faster and more powerful than previous versions. Apple is the clear leader in the 2017 Conflict Minerals Company Rankings — Apple emerged as the clear leader, scoring 114 out of a possible 120 points, plus an additional eight points in extra credit in the 2017 Conflict Minerals Company Rankings by the Enough Project. The tech giant’s consistent fulfillment of the rankings criteria indicates the company has committed substantial resources to developing processes for sourcing minerals from mines that benefit Congolese communities. The Enough Project’s 2017 conflict minerals company rankings examine 20 of the largest companies, as defined by market capitalisation. Racing game Dirt Rally powerslides onto macOS, coming soon to Mac App Store — Feral Interactive has shipped its port of the Codemasters off-road racing game Dirt Rally to macOS, bringing the simulation of driving at high speed through forests to the Mac two years after the game was originally released on other platforms. Feral advises the minimum system requirements include a Mac with an Intel Core i3 processor clocked at 1.8GHz, 8 gigabytes of RAM, 48 gigabytes of storage, macOS 10.13, and either Nvidia GeForce 650 1GB, AMD Radeon R9 290M 2GB, or Intel HD4000 graphics. While it can be played with a keyboard, it is recommended that players use a gamepad or a driving wheel accessory. Feral has made “Dirt Rally” for macOS available in the Feral Store and Steam, priced at US$59.99, with a Mac App Store release expected in the near future for US$44.99. Pages has new options for formatting links — A few years ago, Melissa Holt wrote about dealing with the way Pages formats URLs in your text, but in newer versions of the application, your options are a bit different. As always, when you type “www.macobserver.com” or now even something like “apple.com” into a Pages document, the program will automatically create a clickable link and add an underline to it. Video shows speed and resource testing in Safari, Firefox, and Chrome on the Mac — Mozilla just released their new Firefox Quantum browser with new features including built-in screenshots, a save-for-later feature named Pocket, and a Library that holds all of your pocket saves, bookmarks, browsing history, screenshots and downloads in one spot. AppleInsider compares the new release with Safari, and Google’s Chrome. 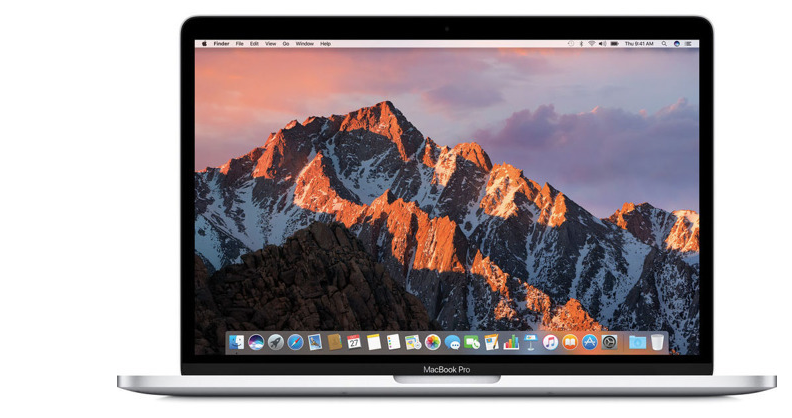 MacBook refreshes push Apple to 4th in global notebook shipments — Apple considerably improved its MacBook shipments in Q3 2017 compared to the previous quarter, market research firm TrendForce claims, with Apple said to have overtaken Asus in the global notebook shipment rankings for this quarter and achieving fourth place amongst other notebook brands. Apple is said to have increased its shipments by 11.3% quarter on quarter, according to TrendForce, with third quarter shipments MacBook shipments reported at 4.43 million in the period. The increased sales also helped Apple’s market share, boosting its standing from a reported 10% in the second quarter to 10.4% in the third. 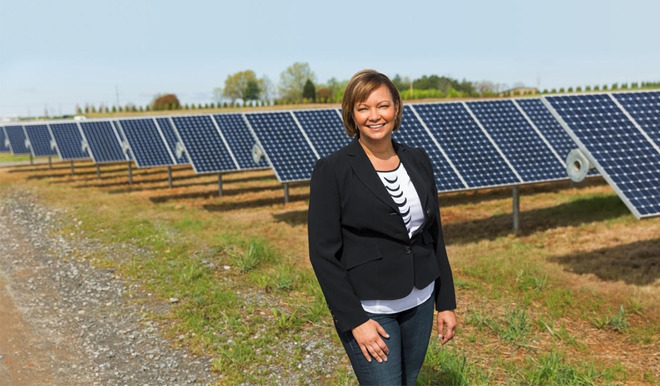 Apple’s Lisa Jackson joins execs from JetBlue and others to discuss sustainability — The Washington Post is organising a forum called A World in Balance for business execs, policy makers, and experts to discuss sustainability. Lisa Jackson, Vice President of Environment, Policy and Social Initiatives at Apple, will participate. Speakers will debate the tradeoffs involved in conserving Earth’s natural resources, discuss new models for sustainable business practices and examine the relationship between democracy and sustainable development. Star Micronics announces first AirPrint-certified point-of-sale receipt printer — The Star TSP654II AirPrint is the first 58mm and 80mm receipt and ticket printer to get AirPrint certification —and it will see release very soon. Firefox 57 ‘Quantum’ for macOS released, iOS version user interface refresh coming — Mozilla has wrapped up its biggest update of code in over ten years with the release of Firefox 57, once called Quantum, for macOS, and other platforms. Help keep your Mac’s drives healthy with DriveDx — BinaryFruit’s DriveDx is a useful Mac solution for SSD and HDD health diagnostics and monitoring. It measures the overall health of both SSD and HDD drives. This allows users to take action to avert the failure, and save themselves from resulting data loss and downtime. Unlike some drive health diagnostics utilities that simply check built-in S.M.A.R.T. status, DriveDx performs overall drive health diagnostics using drive health indicators (like SSD wear out/endurance, reallocated bad sectors, offline bad sectors, pending sectors, I/O errors, and more) that most closely correlate with drive failures according to the statistics reported in the latest researches focused on identifying drive failure trends. The software requires macOS 10.6 or newer. It costs US$19.99 for a personal license and US$39.99 fo ra family license (for up to six computers.) DriveDx can be purchased from the BinaryFruit website. A demo is available for download. Review of Parallels Desktop 13 for Mac — Parallels Desktop 13 for Mac was released a few months ago, and since then Steven Sander has been using it to run Windows, Linux, Mac and even Android virtual machines on a 27-inch iMac. Parallels has been making great strides in providing a top virtualization tool since the first days of Intel Macs, and this 13th iteration adds a few features and hones performance. Sonnet ships Thunderbolt 3 eGFX Breakaway Box 550 with sufficient power for Vega 56 PCI-E card — Sonnet has added to its line of external GPU enclosures with the new 550W version of the eGFX Breakaway Box, with the heftier power supply able to handle a wider array of PCI-E video cards. The eGFX Breakaway Box 550 provides a single PCI-E slot for connecting nearly any size Thunderbolt-compatible GPU card, and has enough room for high-performance water cooler cards. The unit is equipped with a single 40Gbps Thunderbolt 3 port that enables data transfers up to 2750MB per second. Mailspring is a new mail client for macOS High Sierra — Foundry376 has launched Mailspring, a desktop email client designed for macOS High Sierra. It sports features such as an unified inbox, snoozing, reminders, templates, offline search, and support for Gmail labels. It comes with six built-in themes. The app offers mail rules and customizable keyboard shortcuts. Mailspring is free and supports all IMAP providers, including iCloud, Gmail and Office 365. You can swipe to triage mail, see Quicklook thumbnails for attachments, and reply to emails directly from the Notification Center. Mailspring’s email sync has been built from the ground up to use macOS features like App Nap, ensuring it keeps your mailbox up to date without draining your battery, according to the folks at Foundry376. Apple updates Pages, Keynote, and Numbers for macOS — Apple has updated Pages, Keynote, and Numbers for macOS to, respectively versions 6.3.1, 7.3.1, and 4.3.1. All offer stability and performance improvements. Pages is the word processing app for macOS (and iOS). Keynote (also for iOS) lets you create presentations and slides. Numbers is a spreadsheet app, and, yep, it also has an iOS version. All three open and save the equivalent Microsoft Office versions (Word, Powerpoint and Excel). The upgrades are available free through the Mac App Store. Jennifer Anniston returns to TV with Reese Witherspoon in original Apple Series — Jennifer Anniston is returning to TV in an original show signed by Apple. Anniston, who rose to fame in NBC’s Friends, will both costar in and co-executive produce the show with Reese Witherspoon. The show has been ordered in a straight-to-series deal for two seasons, according to The LA Times, bypassing the pilot stage entirely. Movavi Screen Capture Pro for Mac for US$16.15 — The Mac Observer has a deal on Movavi Screen Capture Pro for Mac. This software allows you to capture stills or video recordings of your Mac, make tutorials, record games, etc. It’s US$19 through Mac Observer but the Coupon code “GIFTSHOP15” will get you another 15% off, for a final price of US$16.15, about NZ$24.